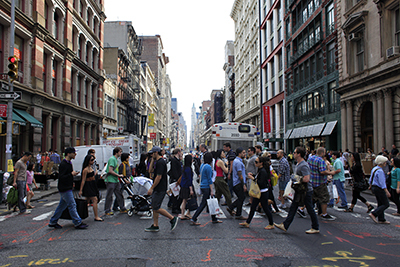 From walks to bike rides, get to know New York City like the residents do. In-places, historical sites and of course food tastings are just a few of the delights you can sample. Here are a few top tour ideas you may want to take advantage of during your next trip into the City. adventure for both tourists and locals. The Little Italy and Chinatown Food Fest offers ethnic food adventures, fun conversation, sightseeing and New York City trivia. Unlike other NYC food tours, Ahoy New York Tours & Tasting frequents restaurants, and customers enjoy generous portions (and it&apos;s inexpensive, too). In addition, each tour is held in small groups to allow for an intimate City experience and a friendly atmosphere. These tours satisfy even the largest of appetites. Come hungry! multilingual-accompany visitors through the tapestry of City neighborhoods, including their own, all for free. Begun in 1992 by a New Yorker who worried about her City&apos;s image abroad, Big Apple now has some 300 greeters to help ensure tourists get more out of their stay. Since its inception, this program has welcomed more than 75,000 visitors from all 50 states and 124 countries, with visits conducted in 22 languages. fabric of this City, these daily excursions look at each neighborhood in a comprehensive and thought-provoking manner. 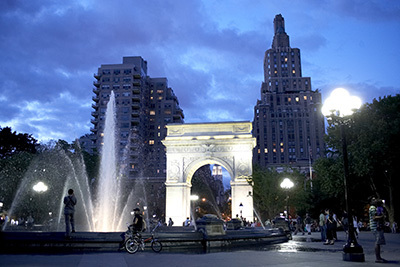 Tours range from studies of Central Park and Greenwich Village to a Martin Scorsese-endorsed "Official Gangs of New York Tour." 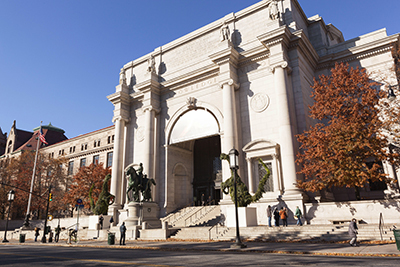 Tour guides crack jokes but know their stuff and have earned numerous awards including "Best Walking Tour in New York City" by New York Magazine and "Best of the Best" by Our Town. and tourism expert and a licensed NYC sightseeing guide and history buff, BQE Tours: The Brooklyn Queens Experience provides "anti-tourist," off-the-beaten-path walking tours of Brooklyn and Queens. The tours are conversational and experiential by design-guests not only see the sights, but engage with local artists, "makers" and entrepreneurs, and stop to sample neighborhood food and drink. Tours are led by NYC native guides, who offer engaging stories beyond the facts and figures to provide local perspective and insight about the City&apos;s rapidly changing face. the world with a customized tour from Carreta Tours. Make your vacation into an experience as you dig deeper into the City on a one-of-a-kind adventure designed specifically for you. Carreta can customize tours for families, small groups of friends or the lone adventurer. Explore the history, food, culture and media of the five boroughs (with a specialization in tours of Staten Island), in a group whose size is defined by your party. sites of New York City through the eyes of a local? With Cititrek, NYC licensed sightseeing guides-all native New Yorkers-will help you customize your own itinerary so you can explore the City at your own desired pace. For the experienced NYC traveler, your Cititrek guide can take you off the beaten path to lesser-known neighborhoods in the boroughs or on ethnic eating tours around the City. And in addition to coordinating bus, subway and waterway tours, Cititrek will also arrange accommodations and transfers to and from the airport. 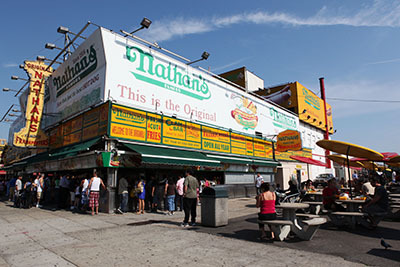 and since New York is the melting pot of the world, its vast array of cuisines is its shared culture. Food on Foot Tours takes visitors to the largest buffet in the world, New York City. 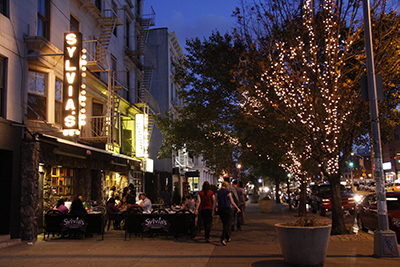 They&apos;ll see the neighborhoods where New Yorkers live and eat. 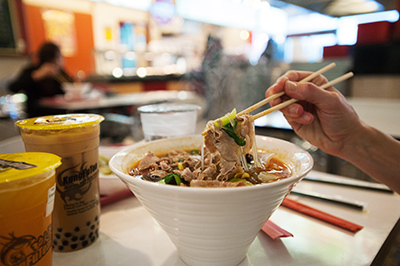 Tours: daily; NY Over Noodles; Asian Flushing Food & History; International Express; Brooklyn Waterfront-Sheepshead Bay; Brighton Beach & Coney Island; Food For Fans Baseball Tours (groups & individuals welcome). Customized tours and licensed guides available for all types of sightseeing, one to seven days. Foot&apos;s walking tours-they are free to take, and guests can name their own price, so their guides have an added incentive to make your tour a terrific experience. 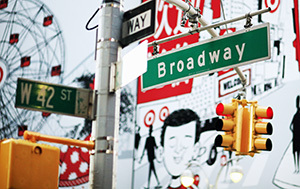 Tours will take you to lower Manhattan, Greenwich Village, SoHo, Chinatown, Harlem and other neighborhoods. Learn about the history of New York City and America from expert guides-part professors, part performers-who make history fun for everyone. They also offer free bike tours (bring your own bike) of Central Park and Lower Manhattan, and tours in Spanish. 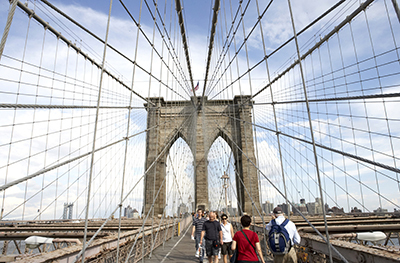 walking tours of New York City, including Manhattan, Brooklyn, the Bronx, Harlem and Queens. They offer gospel tours, jazz house tours, historic tours, art tours, food tours and shopping tours in six languages-French, Spanish, German, Italian, Portuguese and English. 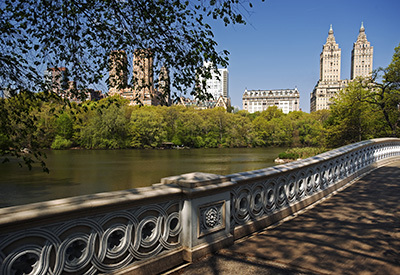 In addition to daily excursions, Inside Out can provide customized itineraries of NYC. Experience the best that New York City and Brooklyn have to offer with these highly curated, guided walking tours. There is no better way to know a neighborhood and savor its unique charm than by walking in the shoes of its residents. How are they different? From epicurean adventures to must-see sights, these unique and memorable, stylish and buzzworthy tours are a one-stop source to experience the hippest &apos;hoods...like a local. fascinating insights about New York City and its rich history. 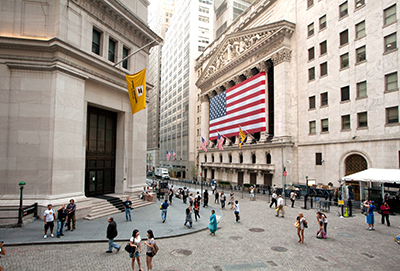 The downtown walking tour explores Wall Street and Ground Zero, past and present, and the midtown walking tour visits such iconic locations as Grand Central, Times Square and the New York Public Library, which houses more than 40 million books (but you can&apos;t borrow a single one of them). Take one of the two-hour tours to learn more. 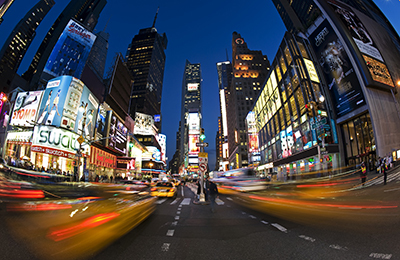 culture of New York City from the inside out with New York Historical Tours. Discover hidden treasures and learn the intriguing secrets and fascinating stories behind one of the most exciting cities in the world. Enjoy an unforgettable experience as expert, licensed tour leaders guide you through many famous and familiar streets, landmarks and neighborhoods. New York Historical Tours specializes in small group walking tours, personalized private tours and custom tours created based on your group&apos;s interests and schedule. 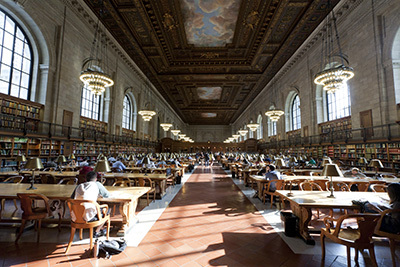 guided tours of lesser-known places and stories of New York City, built around rigorous research and close connections to the communities in which we work. 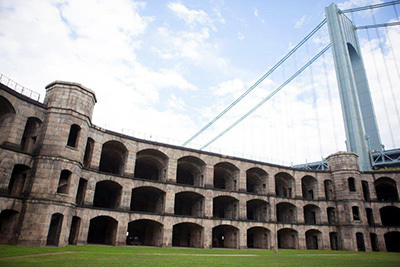 They offer tours along the Brooklyn waterfront, including a range of historical and industrial tours at the Brooklyn Navy Yard, tours of the Brooklyn Army Terminal and boat tours of the military, manufacturing and ecological history of New York Harbor. They also highlight the food communities of NYC on their Food Cart Tours of Manhattan and their Immigrant Foodways Market Tour. 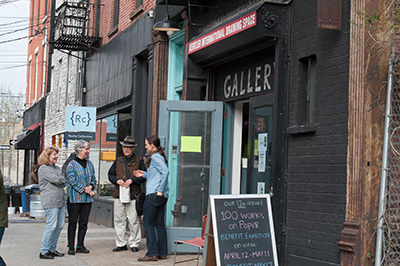 Walks of New York provides guests with passionate local experts leading unique, immersive small-group and private walks through the City&apos;s eclectic neighborhoods. They&apos;ll share their insights on historical highlights, arrange exclusive and "skip the line" access to institutions and provide memorable hands-on experiences. 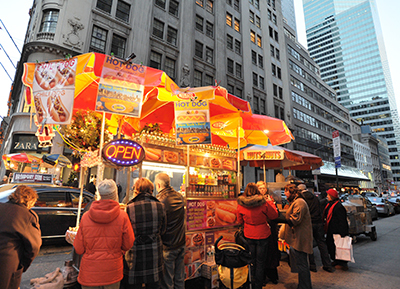 Walks of New York specializes in New York&apos;s culinary traditions, its strong art and theater culture and the City&apos;s historic roots. They are constantly creating new tours based on the City&apos;s latest happenings, so be sure to follow them on social media channels. York Stock Exchange, Federal Reserve and Wall Street guided by Andrew Luan, a real Wall Street trader and former vice president of Deutsche Bank. While meandering through the narrow, winding streets of Lower Manhattan, you will hear exclusive stories from "inside the trenches" that will entertain, inform and shock you. Tours have appeared in the news and on television globally. 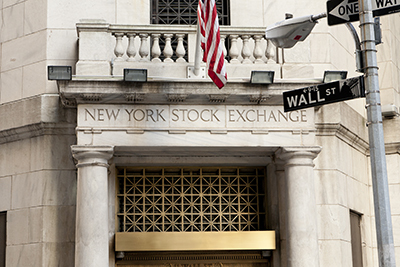 The Wall Street Experience aims to demystify and personify Wall Street through personal interaction and storytelling of firsthand experiences. Bring your camera and your questions. separate truth from legend as they recount stories, explore architecture and teach the history of Wall Street and New York City.